I arrived in Vietnam as a young army officer shortly after the United States was rocked by magazine and newspaper articles about the My Lai massacre. People around the country were shaking their heads as to how something like this could have happened. The resultant backlash fueled the anti-war movement and split the country about the war. The Peers Report, authored by Lieutenant General William Peers, and probably the most definitive report about the My Lai massacre, concluded that first, during the period March16 through 19, 1968, soldiers of Task Force Barker massacred a large number of Vietnamese nationals in the village of My Lai, and second, that efforts were made at every level of command, from company to division, to suppress information concerning this incident. If it were not for the letter from a young soldier, Ronald Ridenhour, to Congressional Representative Morris Udall, the incident might never have come to light. Independent investigative journalist, Seymour Hersh, broke the story about the massacre on November 20, 1969 in articles carried by Time, Life, and Newsweek. The soldiers involved in the massacre were angry because of the killing of a popular sergeant in an ambush. Conditions were difficult, as the American military was constantly on edge in this “no front” war. They never knew when an enemy, or someone they thought was a friend, would pop out of the bush and try to kill them. Many in our country argued our soldiers never should have been placed in this position. Others countered that while these were trying times for our troops, nothing could excuse this massacre or the resulting cover-up. Years later, as I pondered this traumatic event, I wondered what the reaction of the sons and daughters of those killed might be today. This led me to write SECRET ASSAULT. The story begins on a June evening when the president’s national security advisor, General Aaron Hightower, is leaving his retirement party. He is gunned down by a Vietnamese assassin. Colonel Zack Kelly gives chase, but the shooter is hit by a truck and killed. Zack and his partner, Rene Garcia, determine that Hightower is the sixth military leader attacked in the past four months. They investigate the chilling possibility the shootings are part of a plot against the government. Things are not as they seem, however. After two more army retirees are murdered, Zack’s world is rocked by an event so traumatic, the hunt for the killers turns deadly personal. 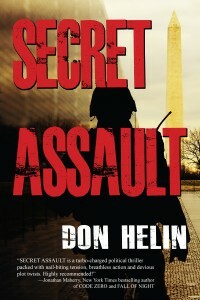 New York Times bestselling author Jonathan Maberry called SECRET ASSAULT “a turbo-charged political thriller packed with nail-biting tension, breathless action and devious plot twists. Highly recommended!” And Agatha, Anthony, Macavity, and Mary Higgins Clark award-winning author Hank Phillippi Ryan, said, “Fans of Tom Clancy and Vince Flynn will sign up for this no-holds-barred thriller—written with the tough confidence, and been-there-done-that access of a savvy author who knows his military stuff.” THE BIG THRILL recommends you check out SECRET ASSAULT today! Using his experience from the military, including eight years in the Pentagon, Don Helin published his first thriller, THY KINGDOM COME, in 2009. His second, DEVIL’S DEN, has been selected as a finalist in the Indie Book Awards. 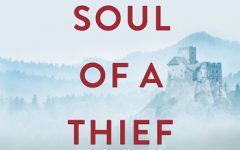 Don is an active member of International Thriller Writers, Military Writers Society of America, Pennwriters, a state-wide writers group in Pennsylvania, and a mentor with Mystery Writers of America. He makes his home in central Pennsylvania where he is hard at work on his next Zack Kelly thriller, DARK ANGEL. To learn more about Don, please visit his website.